Chaldaeans and Jews are expelled from Rome. The year discussed here was dominated by the war in Spain. 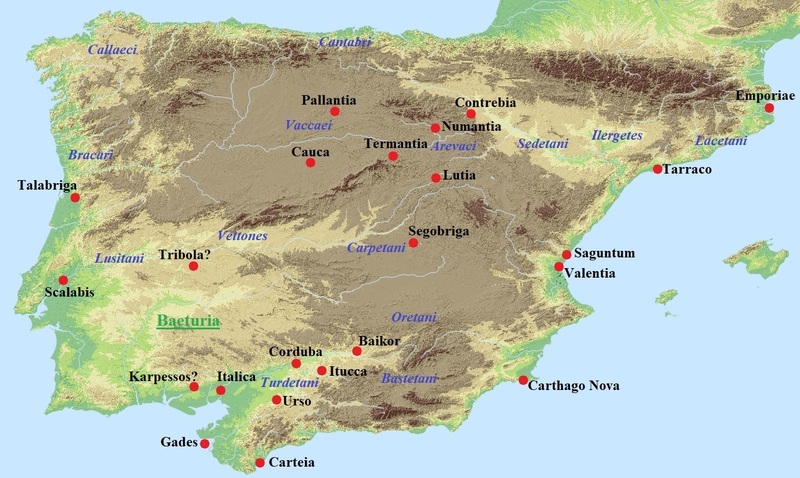 The murder of the Lusitanian leader Viriathus paved the way for peace in Hispania Ulterior. But in the other Spanish province, Hispania Citerior, the conflict was renewed. 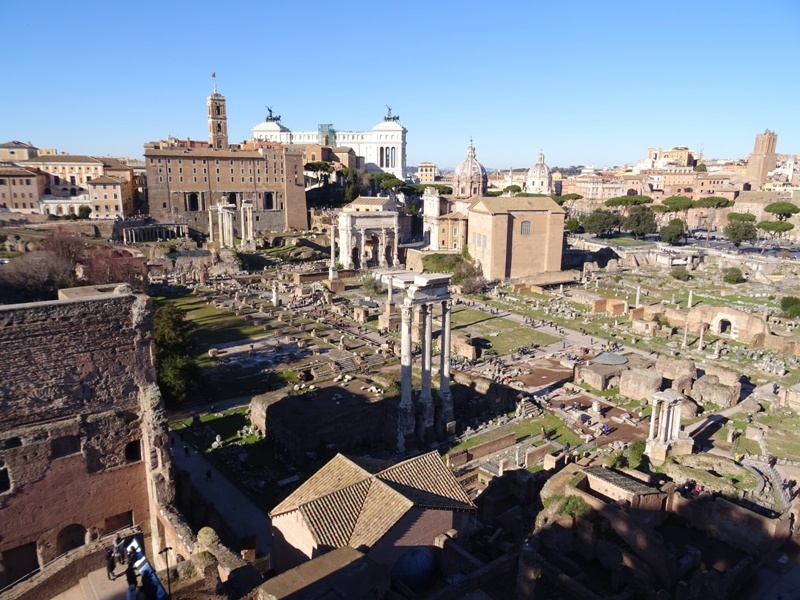 Back in Rome, an important law about the secret ballot was adopted and Chaldaeans and Jews were expelled from the city. Viriathus had chosen a path of diplomacy and had sent some of his most trusted friends to the proconsul Quintus Servilius Caepio to discuss peace terms. Caepio, however, bribed the friends and ordered them to assassinate their leader. This they did: Viriathus was killed while sleeping in his tent. His supporters gave him a grandiose funeral, replete with gladiatorial games. After Viriathus’ death, the Lusitanians elected one Tantalus as their new leader. Tantalus lacked any real talent, and his invasion of Roman territory was quickly defeated by Caepio. The Roman commander then launched a counterattack and caused the Lusitanians to surrender. The tribesmen were resettled on fertile lands allocated to them by Caepio, who thus brought the Lusitanian War to an end. It had taken the Romans not just blood, sweat and tears to win the conflict, but also bribery and a rather perfidious murder. Further to the north, another war was still raging. The new consul Marcus Popilius Laenas arrived in Hispania Citerior and learned that his predecessor Quintus Pompeius had made a treaty with the Numantines. The consul decided to ignore the treaty – probably an oral agreement – and even denied its existence. The Numantines produced plenty of witnesses who confirmed that an agreement had in fact been made, but Laenas sent them all to Rome to continue the debate with Pompeius there. A majority of the senators presumably felt that the consul would still be able to win this conflict by a decisive victory and allowed him to continue the war against the Numantines. But Laenas proved to be incompetent. He does not seem to have attacked Numantia, and his campaign against the Lusones (neighbours of the Arevaci) was unsuccessful. Voting scene from Ancient Rome (113-112 BCE). A voter receives a ballot from an official (left), a second voter (right) drops it into the ballot box (source: Münzkabinett Berlin, CC BY-SA 3.0 license). This year the concilium plebis passed the Lex Gabinia de suffragiis. It was the first of a set of four ‘tabellarian laws’ (leges tabellariae). A tabella is a ballot or voting tablet, and the four laws were all concerned with the introduction of the secret ballot in various kinds of assemblies. The Lex Gabinia discussed here introduced a written and therefore secret ballot for elections. We do not know very well how voting in the assembly proceeded before the introduction of the written vote, but the fact that officials called rogatores were involved suggests that citizens voted orally and revealed their preferences to these officials. This of course left them vulnerable to intimidation and improper pressure. The Lex Gabinia addressed this problem. It was therefore a constitutional reform of great importance, but it was not warmly greeted by everyone. Cicero called the tribune Gabinius a homo ignotus et sordidus, “a man who was unknown and of low degree”. The orator lamented the law because he believed it diminished the influence of the elite. The Lex Gabinia was followed by three similar laws, which introduced the secret ballot for non-capital trials (137 BCE), legislative assemblies (131 BCE) and capital trials (106 BCE). An event of even greater historical importance was the expulsion from Rome of the Chaldaeans (i.e. Mesopotamians/Babylonians) and the Jews. Unfortunately the event has been poorly documented. It would have been discussed in Livius’ Book LIV, but this book is lost. The Oxyrhynchus Epitome (but not the ‘regular’ Periochae) of his work only mentions the Chaldaeans, and the text has to be complemented with modern conjectures to fill in the gaps. The only other source for this event is Valerius Maximus, a first century CE author. Maximus wrote a series of books with deeds and sayings that he thought were memorable (such as the epitaph on Scipio Africanus’ tomb). The section that probably dealt with the expulsion of Chaldaeans and Jews (1.3.3) has not survived, but we can reconstruct it because it is mentioned in epitomes by two later and rather obscure excerptors, Julius Paris and Januarius Nepotianus. From the reconstructed text, we learn that the praetor peregrinus Gnaeus Cornelius Scipio Hispanus ordered both the Chaldaeans and the Jews to leave the city and Italy within ten days. The former were seen as false astrologers and frauds, who tricked Roman citizens into giving them their money by claiming they were able to read the stars. The Jews were accused of religious proselytism, of trying to convert Roman citizens to their religion. This attempt was thought to have a corrupting influence, so the Jews had to go as well. It should be pointed out that there are various problems with these texts. Julius Paris (but not Januarius Nepotianus) for instance wrote that the Jews worshipped a god called Jupiter Sabazius. This is an extremely puzzling statement. Jupiter can be equated with Yahweh, but Sabazius was a Phrygian and Thracian god, often equated with both Zeus and Dionysos. Several possible explanations have been offered, ranging from an expulsion of three groups from Rome (Chaldaeans, Jews and followers of Sabazius) to an author confusing the Sabbath and Sabazius. This is all food for thought, but it should not bother us here. What is important is that the statement by Valerius Maximus (or rather, by Julius Paris and Januarius Nepotianus) indicates that by 139 BCE, Rome had a Jewish community. 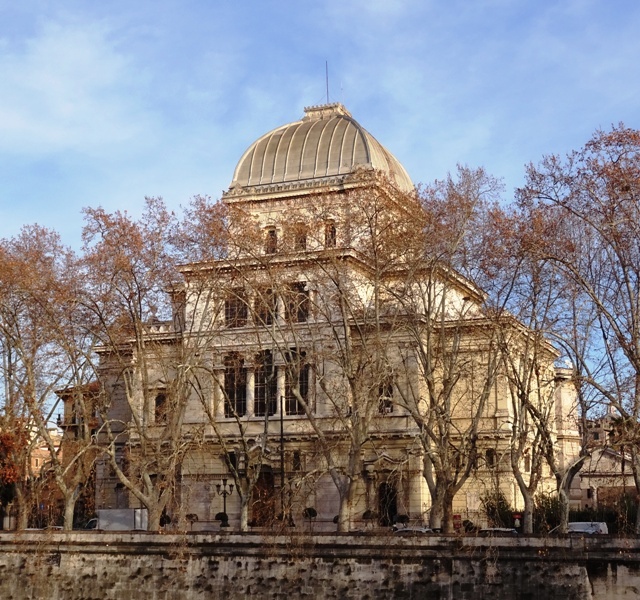 We know that a Jewish diplomatic delegation arrived in Rome in 160 BCE. The envoys made a treaty of friendship between the Roman Republic and the Maccabees (later: Hasmoneans) of Judea, and perhaps some of them stayed in Rome as ambassadors. The treaty – which was renewed twice in the 140s – may also have encouraged migration to Italy. Relations seem to have been cordial, and in 142 BCE, the Maccabees had received a friendly letter from a Roman consul. 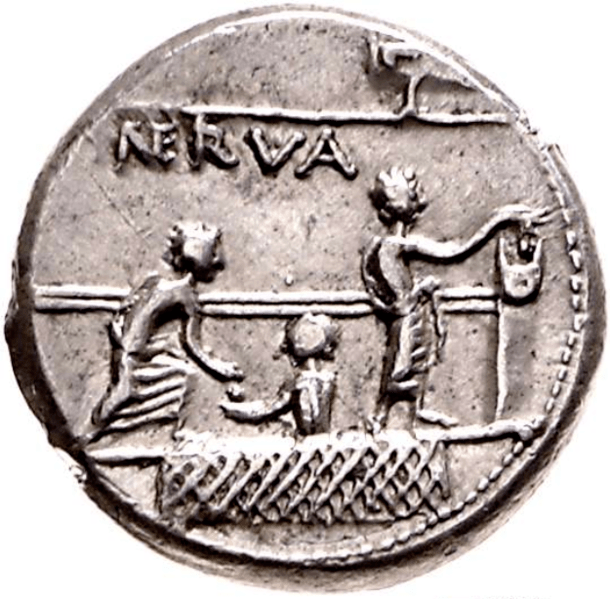 Nevertheless, at this point in Roman history, the Jewish monotheistic religion was apparently seen as a threat to the Roman state religion and Roman morals. The expulsion cannot have been permanent, for we know that Rome had a thriving Jewish community again in the first century BCE. Velleius Paterculus, Roman History, Book II.1. More specifically, it reads “Chaldaei urbe et It”, to which modern commentators add “[alia abire iussi sunt.]”. The Jews or Judaei are absent.